So you love Japan? 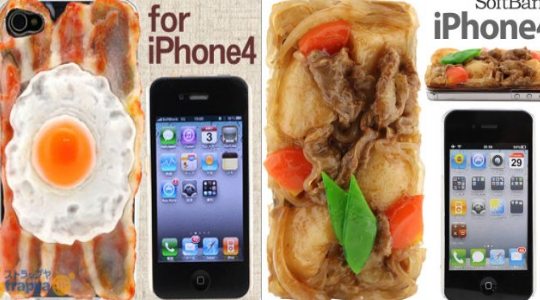 You love the food, want some on your phone? Well if you have an iPhone you now can, and I don’t just mean an app or a wallpaper, it now comes in the form of an iPhone case thanks to the people of Strapya World. Yes the Japanese have always been crazy about food not only does it taste great but the presentation is as much a part of the experience as the actual ingredients of the recipe itself. Sometimes Japanese restaurant owners showcase their food with the help of plastic versions of certain dishes to entice customers. This can be very helpful if you are a tourist and the menus are written in Japanese. From this we now have food on our phones, ranging from egg and bacon for the morning commute to work to Nikujaga (meat, potatoes and onion) for dinner. These things really do look amazing close up and if you leave your phone on your desk at work someone will think you have brought in lunch. 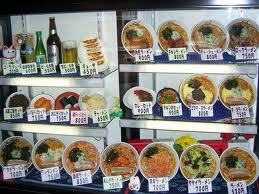 There are many to choose from and they really do look good so if you enjoy Japanese food these are definitely for you. Below is a video of one of the designs. Yet another unusual and slightly strange thing to emerge from Japan and just another reason for me to love them. Posted by theloveofjapan on July 19, 2011 in Entertainment, Food, Fun, iPhone, Photos, Shopping, Tec and tagged case, food, iphone, japan, japanese, strapya.